Originally part of the Vault family, the Artisan series is Sabian's rendition of nuanced, tonally complex vintage cymbals produced in the early and mid Twentieth Century. 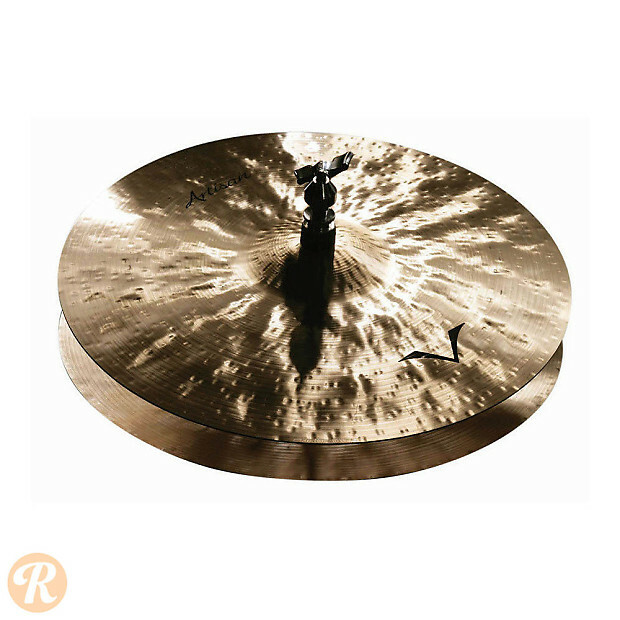 These cymbals are produced with a "Masterpiece" finish created from fire-refined B20 bronze, allowing traces of silver to remain in the alloy and producing a sedate brilliance to the final product. The hi-hats are produced with a medium top cymbal and heavy bottom cymbal pairing to produced a defined response. The hats' character is dark, smoky and atmospheric. Notable players: Billy Cobham, Chad Smith, Tony Royster Jr.